Constantine II, his laureate head right. star above, top row dots and arches in blocks, bottom row blocks. 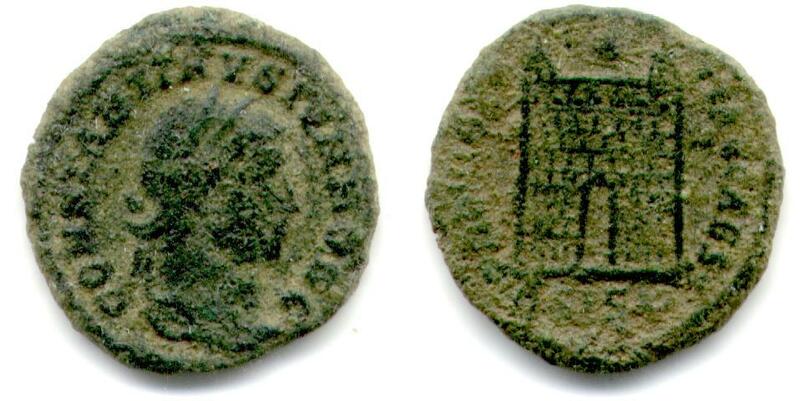 Bruun, P.M., "Roman Imperial Coinage", Volume 7 (RIC), Siscia, p452, nr 216, obverse legend 7, bust B1.